Ammonium dinitramide (ADN) based green propellant is a promising alternative propellant for future space propulsion. Atomization of thruster plays an important role in the entire operation process. This paper describes the effect of swirl injection regarding tangential hole geometric parameter on the atomization characteristics of ADN-based green monopropellant. The experimental apparatus was prepared using a high-speed camera equipped with a macro lens and a Malvern laser particle size analyzer, and an injection device was designed. Characteristics features including particle-size distribution, spray cone, and breakup length of tangential hole number were recorded, and the effect of key parameters on spray processes was evaluated. The results show that the designed swirl injector completely achieved the atomization characteristics. With the increase in tangential hole number, the flow resistance increased, thus significantly affecting the atomization performance. The corresponding average particle size decreased. Moreover, a very large or small tangential hole number clearly affected the breakup length, spray cone angle, and average particle size. The optimum tangential hole diameter was 0.9 mm. 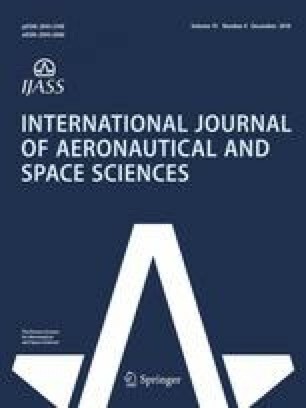 The results are beneficial for the improvement of design structure of swirl nozzle based on ADN-based green monopropellant. This work is supported by the Fundamental Research Funds for the Central Universities (2017JBZ102) and Beijing Natural Science Foundation (3184064).